2002 onwards. 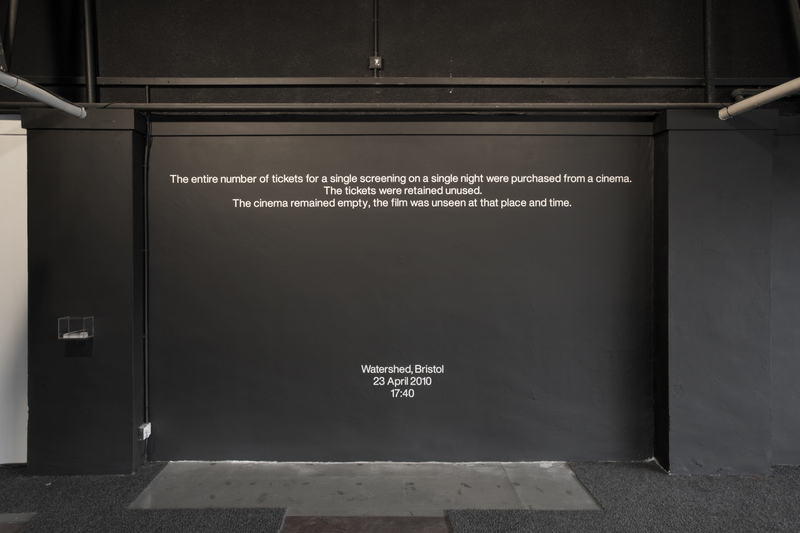 All of the tickets for a single screening of a film at a cinema are purchased, emptying the auditorium for that period. 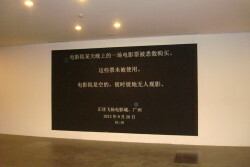 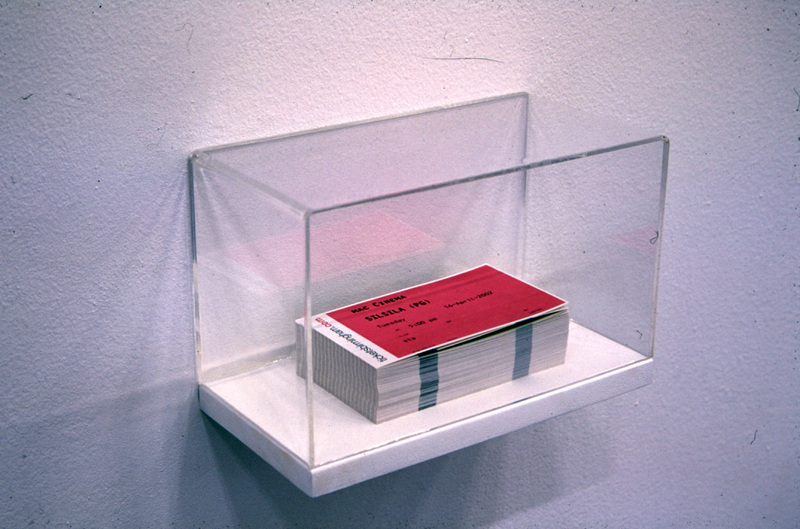 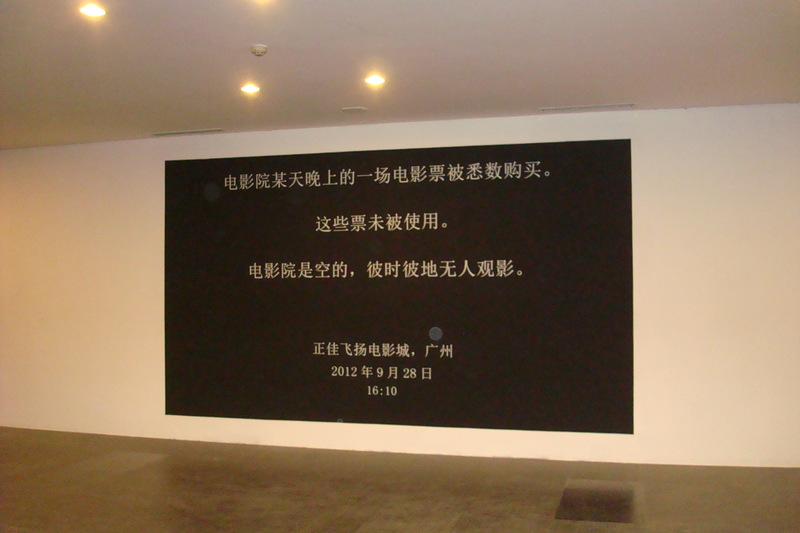 Time and place are recorded in the wall text, the tickets displayed in a box nearby. 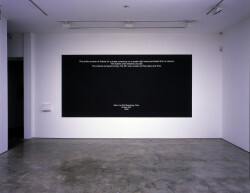 The decision on whether to screen the film or not is left open.